Maybe you've seen someone write "Lml" with their comment on an Instagram photo or noticed someone you follow included #LML in a tweet. It's one of the less popular online acronyms, but that doesn't mean you should be left wondering what it means. Both interpretations are entirely different from each other, but there are a few tricks worth knowing to help you identify which is being used when you see it online or in a text message. You can consider LML to be somewhat of a variation of LOL (Laugh Out Loud) when it's being used to say "laugh mad loud." The overuse of LOL as a popular online acronym over the years has sort dulled the expressive effect of it, so using something like LML may be a better option when you really want to communicate the fact that you're actually laughing loudly. "Lml can't believe I just missed my mouth completely while trying to eat this piece of pizza." "Wow I have no words for what just happened at school lml I'm crying"
"My dog keeps barking at my laptop screensaver #LML #dogs #cute"
When used to be interpreted as "love my life," LML is basically the opposite of the more popular acronym FML, which stands for "f*** my life," or HML, which could mean "hate my life." LML as "love my life" can be typically used to express your own satisfaction and appreciation for a positive aspect of your life or a favorable event that just took place. It's also synonymous to BML (Bless My Life). "Passed all my classes this semester and now I'm just ready to enjoy the summer #lml #grateful #school #summer"
"Randomly found $20 on the bus this morning. Srsly lml right now"
"Having a really great hair day. 3 people have complimented me on it and it's only 10am. Lml"
This is one of those really tricky acronyms that can actually be quite difficult to identify its correct meaning when examining its context. Here are a few questions you can ask yourself next time you see LML used online or in a text and don't know how to interpret it. Are they talking about something funny that happened? 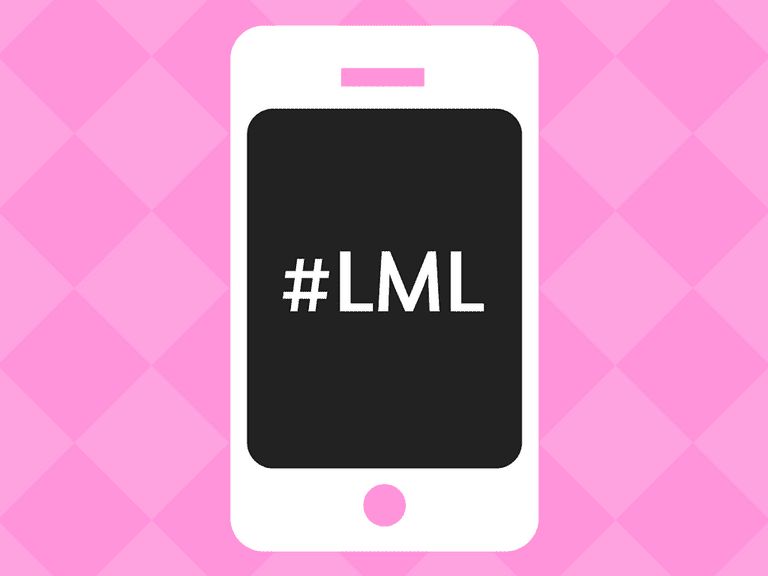 If the individual who used LML in a post, comment or message is describing an event that sounds absurd or amusing, they probably mean "laugh mad loud" as a way to highlight the humorous aspect of it. Are they trying to make a joke? Some people make jokes that are sarcastic, parodic, ironic or even dark. If you sense that someone is trying to pump humor into their message, it's possible that they mean to say "laugh mad loud," to emphasize the fact that they find their own joke funny—and that you should, too. Does it make sense if you replace LML with LOL? Since "laugh mad loud" is interchangeable with "laugh out loud," you can try replacing LML with LOL and rereading the entire post or message to see if it sounds right. If it does sound right when LOL is used in place of LML, chances are the individual who wrote the post or message means to say "laugh mad loud." Are they bragging about something good that happened to them? Here's where things get a little confusing when it comes to interpreting LML. Some people brag about the events of their lives to show off, in which "love my life," might be appropriately used. But others use humor as a way to humblebrag, meaning that the use of "laugh mad loud" could be intended even when "love my life" looks like it fits. So if something sounds like more of a humblebrag than an outright brag, you might want to consider giving more weight to "laugh mad loud" over "love my life."